Saskatchewan Rivers Public Schools are focused on Literacy all year long, but now is the time we focus our attention on Family Literacy. Your neighborhood schools have hosted Literacy events in the last weeks, and more are planned in the coming weeks. 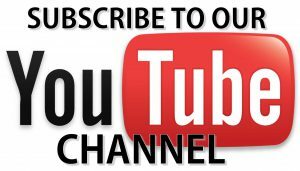 We are also glad to support the work of one of our key Literacy partners in the community. The Prince Albert Literacy Network is providing you with something to do on Saturday, January 26th with your kids. 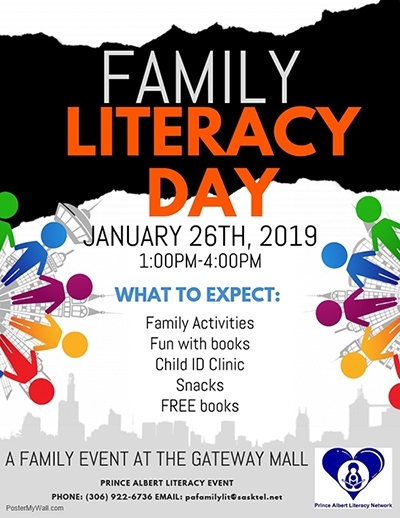 Please join PA Literacy Network in celebrating National Family Literacy Day on January 26, 2019 at the Gateway Mall from 1:00 – 4:00 pm. Family activities, children’s ID clinic, snacks, FREE books and much, much more will be set up for all to enjoy! Please share this invitation with your friends and neighbours and be sure to stop by with your children on Saturday. Families that learn together, grow together!